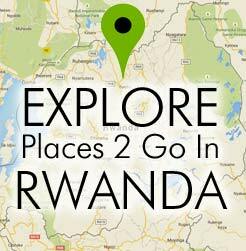 Enjoy true Rwandan hospitality. Meet an everyday Rwandan family. Tour the house (where they cook, sleep, get water, and eat) as they explain their daily routine and show you where they grow food and keep livestock. If you like, have a soda or tea, visit local shops, visit the children’s school, or just swap stories with the help of a translator. In Gitarama, on the road from Huye to Kigali, Azizi Life gives visitors the chance to experience rural Rwanda firsthand. At the start of the day, you will be welcomed into the community and homes of the women who will show you a glimpse of rural Rwandan life. 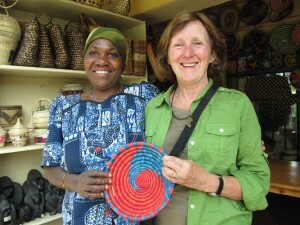 Visitors connect with local artisans and their families doing seasonal agricultural activities, perhaps hoeing a cassava field, prepping and sharing a midday meal together, and learning to make some kind of craft, be it weaving or making jewelry out of the local sisal plant. There is ample opportunity to exchange stories and laughs with your hosts through the help of a translator, as you enjoy learning and doing each activity together. At the end of the day you will leave tired but fulfilled having spent a day out in the beautiful rolling Rwandan hills learning what life is like in rural Rwanda from those who can teach you best. The money directly benefits the coop members and community projects. 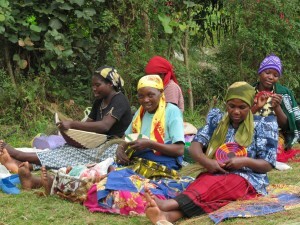 Muko village is home to the Ndufatanye Momahoro Association, a collective of seven women who show travelers how baskets are woven and banana beer fermented.